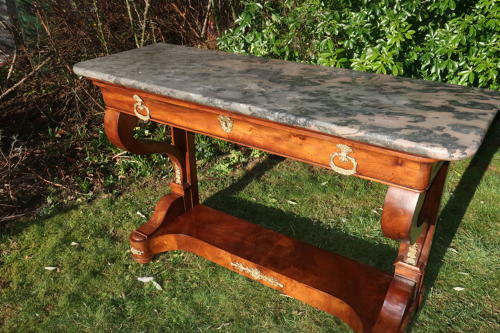 A French figured walnut console table dating to the earlier part of the 19th Century. Of large size with one large drawer,and platform below with apply ormolu mounts, all with an unusual and attractive marble top. Good warm colour to the timber and all in excellent condition.